Discussion in 'Lexus Lounge' started by krew, May 8, 2018. Could be announced this month. It will bring a huge boost indeed! Remember it's the last luxury brand where people can buy a true non-local production vehicle. That Made in Japan quality actually matters a lot here (at least until there is another anti-Japan protest). Earlier this year the local dealership told me they are going to slash LS prices by at least ¥100k ($15k) and I found it suspicious. Now it makes sense. Maybe I should go for the LS500h in the end. carguy420, mordecai, krew and 1 other person like this. It's official: per a Reuters story, China will cut automobile import tariffs to 15 percent from 25 percent for most vehicles effective July 1. Import tariffs for auto parts would be cut to 6 percent from mostly around 10 percent. The report states that Toyota "would adjust retail prices for imported cars that benefited from the lower tariffs to provide Chinese consumers with “competitive” products". carguy420, mordecai, spwolf and 1 other person like this. 7ES delivery will start in August, what a good timing for that car. An ES200 for under ¥250,000 basically kills anything in that segment, but the FAW Avalon is just around the corner so I doubt they will actually do that. So I think the 7ES will just be 'free upgrades' with no price cut. Chances are the price cuts are mainly for the LS. Also, it would be nice if they do 'free upgrades' like LSS+ for every trim across their lineup. carguy420, mordecai and spwolf like this. Did they sell Avalon there before? What are their sales expectations? Indeed, they might do both, depend what are their own profit margins - reduce the pricing a bit and also increase equipment levels. Avalon was never sold in China before. People speculate that it might take over the position hold by Crown in China, which is, kind of sad for the legendary model. Definitely lower than the target set for the GAC Camry (10k per month), since it's a bigger and more expensive vehicle. I think it's around 60k per year. Except the Crown already overshot that figure with the recent model year update. That came as a surprise to FAW as they thought the Crown was dead. i dont think you guys need to worry about Crown... it is priced above Avalon and sells well, with new version coming in japan next month. also if they are selling that amount of Crown, then they were expecting it or else they would be producing less... tps, jit, etc. The Reiz/Mark X is gone, so they are using the excess capacity to produce the Crown. But their new facilities are converted to GA-K already, so the Crown is heading to the chopping board for sure. I think in the U.S. the Avalon is priced 25-30% above the Camry? Following that rule, FAW could price it at ¥260k-350k (Camry 2.5/Hybrid is 200k-270k) which is slightly below the Crown (¥290k-390k). Seeing how the 7ES is going to start a bloody price war in the premium mid-to-full size segment, I think such a price drop should be expected. There's no way a ¥390k Avalon can survive against a ¥390k ES. Everyone is paranoid about the 7ES at this point. depends on engines really, it is not that much more expensive when equipped the same. You can also say that Avalon is 15% cheaper than ES, with same engine, together with no import tax, it could be cheaper than that. I am not sure that their factories are so inflexible, looking at their 30-35k sales for Crown per year, I think they will want to continue that. In general, Toyota is not concerned about competition between Toyota and Lexus anyway. maiaramdan and Joaquin Ruhi like this. You can also say that Avalon is 15% cheaper than ES, with same engine, together with no import tax, it could be cheaper than that. With Avalon seemingly headed towards Chinese production, I wonder if that's opening the door for eventual Chinese production of the closely-related Lexus 7ES as well? @ssun30 : Any idea when Avalon is expected to launch in China? It is unlikely that Chinese production will happen anytime soon for Lexus, especially since they reduced import tariffs. I think I have seen reports saying Lexus IS planning to build IS in FAW facilities. If that ends up to be true, then Crown could share the same GA-L assembly line I assume? But all this was before they decided to introduce Avalon. So we’ll see. Not sure about ES series, but I heard the biggest challenge for domestic production of Lexus in China is the split of interest between Toyota’s two joint venture partners： GAW and FAW groups. An earlier proposal was IS(GA-L) for FAW and NX (GA-C?) for GAW. So we don’t know where ES will go considering GAW is producing Camry and FAW Avalon very soon, or maybe it will just wait longer. I think I have seen reports saying Lexus IS planning to build IS in FAW facilities. Are any of those reports in English? Or are they all Chinese-language? Not sure about ES series, but I heard the biggest challenge for domestic production of Lexus in China is the split of interest between Toyota’s two joint venture partners: GAC and FAW groups. That's true. If Lexus starts with a single model, you give it to one and anger the other. And setting up both FAW and GAC for Lexus-caliber quality and production processes doubles Toyota's expenses. An earlier proposal was IS (GA-L) for FAW and NX (GA-C?) for GAC. The next NX is expected to move to the Camry/Avalon GA-K platform, as its fraternal Toyota twin RAV4 just did for its 5th generation. So we don’t know where ES will go considering GAC is producing Camry and FAW Avalon very soon, or maybe it will just wait longer. Interesting. Here in the U.S., Camry, Avalon and Lexus ES are all built in different sections of the same Georgetown, Kentucky plant. With both FAW and GAC building (TN)GA-K models, a theoretical Chinese ES could go either way (although FAW might have the upper hand since ES is closer to Avalon than to Camry). It's true that the reduced tariffs also remove much of the urgency to start Chinese production. Lexus will probably take a wait-and-see attitude and see what price reductions do for their sales. Any idea when Avalon is expected to launch in China? Chinese auto press are consistently unreliable when it comes to rumors. We've been hearing about the Corolla getting the BMW B38 (1.5t Inline-3) since 2015 except it's not happening. They predicted last year the new GA-L Crown will be produced at FAW when there was solid information on Avalon replacing the Crown. They even reported end of Prado production when that thing is selling 5k per month (although the recent facelift is a major flop and end of production could be a possibility). So I will consider the IS rumor BS with maybe 0.2% credibility. The IS is the most 'un-China' car you can imagine due to its abysmal rear legroom. They would have to make an IS-L that will basically be the spiritual successor to the GS. Oh, wait, that may actually be a good idea. Anyway, seeing how the 'unattractive' 6ES is now consistently a best seller, they will have zero incentive to produce 7ES at FAW in the short term. 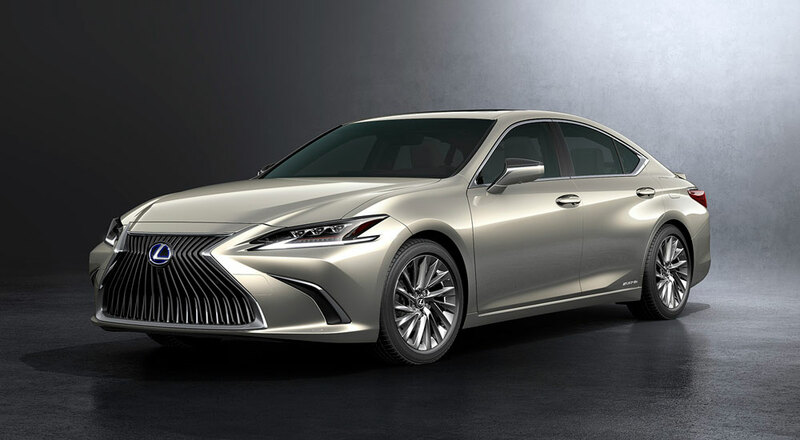 The only way I can see a made-in-China Lexus is after 2022, when China completely removes restrictions on percentage of ownership in the JV (currently 50%) for foreign automakers. That way TMC can have maximum control over every Lexus vehicle produced. maiaramdan, carguy420 and Joaquin Ruhi like this. Lexus will make cars in China when it can make them cheaper than in Japan. And by cheaper I mean total cost of investment + production costs. Maybe when sales of ES, RX and NX reach some target like 200k-300k vehicles, it will make more sense? With EU agreements with Japan, Canada and EU, US and Korea, it is becoming cheaper for them to export from Japan, USA and Canada, so Chinese production has to be for China only. However a lot had happened since 2016 that could influence the final decision. The trade war going on right now might push Japanese auto OEMs to invest more in China or as @ssun30 said, the reduction of tariffs may discourage them from doing so.